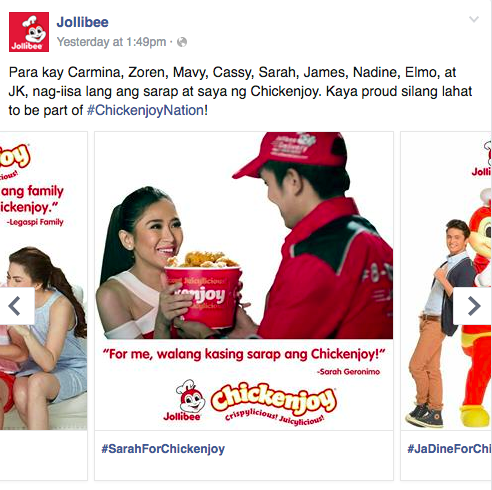 Jollibee answers back with 1,000 Buckets of ChickenJoy. - Hello! Welcome to my blog! 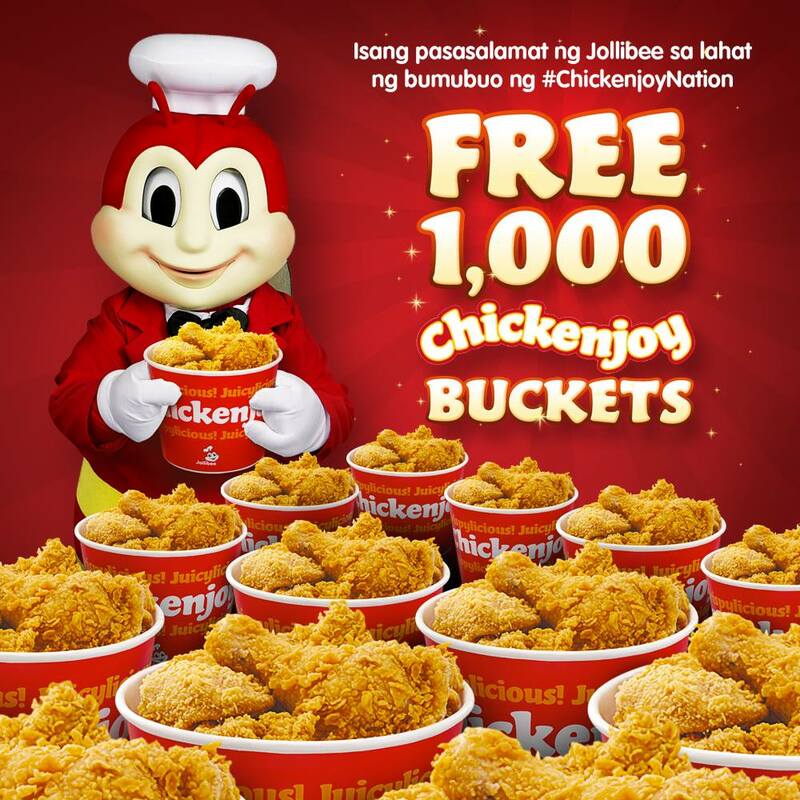 Jollibee answers back with 1,000 Buckets of ChickenJoy. Remember my post about McDo giving away free McChicken to all people named Joy? See post here. Well, I thought it was pretty genius at first. In terms of advertising that is. It's rare that brands here in the Philippines takes direct jab at their competitors. Yesterday, Jollibee posted this one. 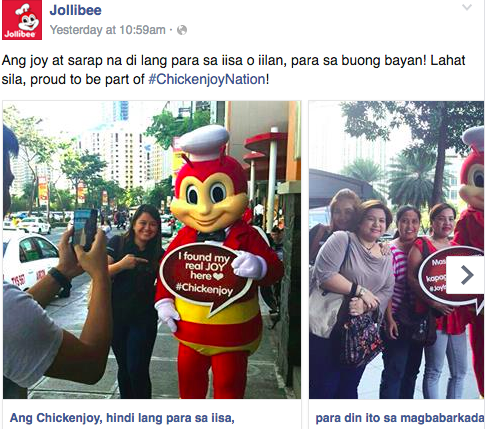 Jollibee has been touring around the metro and just reconfirmed that Philippines is a #ChickenJoyNation. and I think I would have to agree on this one. This comment right here by Marvin Lee Tang made a good point. Jollibee also brought out the big guns. What McDO did was clever, but what Jollibee did with that opportunity is ignite the Filipino's love for the chicken that they grew up with. Heck even I have stories of about ChickenJoy when I was young. Now customers and fans of the brand is showing more love and pride that they are part of the #ChickenJoyNation and sharing them online. Now, Jollibee is giving fans FREE 1,000 Chickenjoy Buckets! Fast food competition is cut throat. It's really competitive and every strategy may either be a good move at first then it might backfire. What about you? 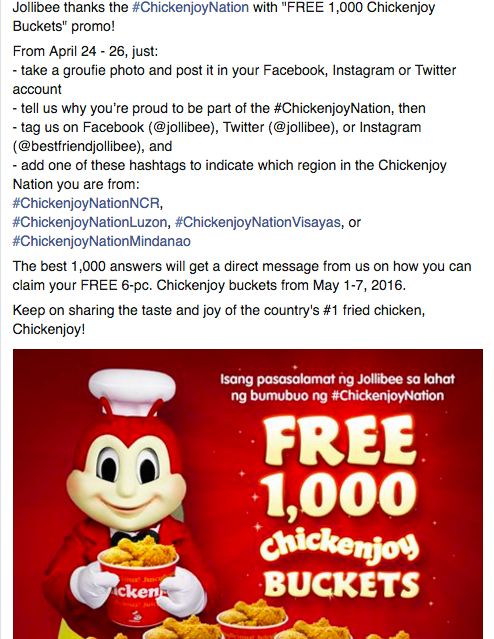 What do you think of Jollibee's answer?